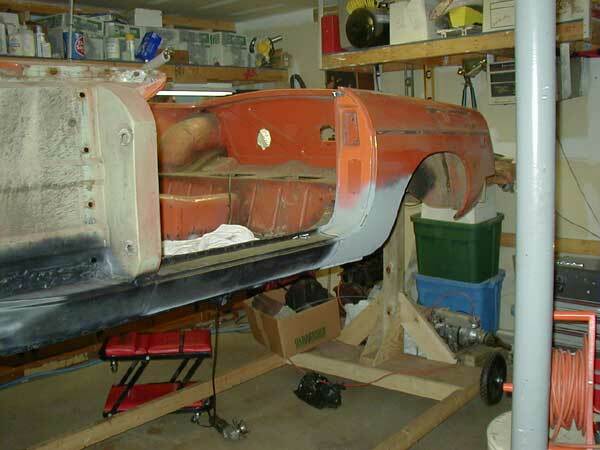 Since I'm no welder, I'lll be using some body filler to smooth it all out. Now I have to say, the fit of the dog-leg replacement panels was not what I expected, or should I say, they were exactly what I expected. 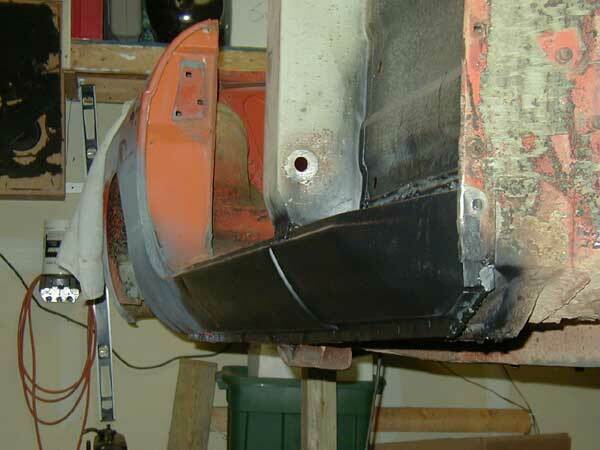 The gap between them and the outer sill was too large, and the panels weren't level. 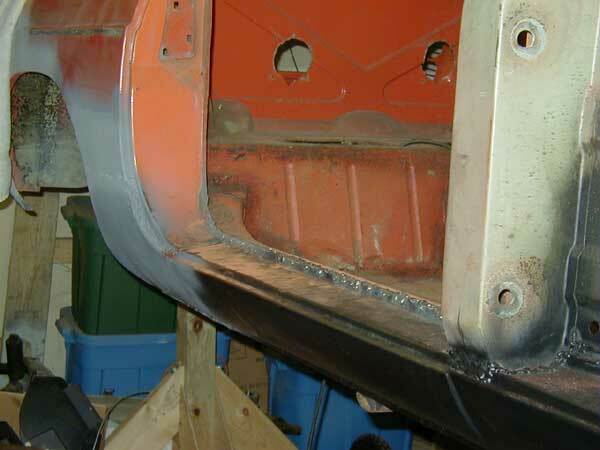 I thought about filling building up the edge with weld, body filler, or possibly smoothing it out not having the gap at all (but thought that might trap water eventually rust out). 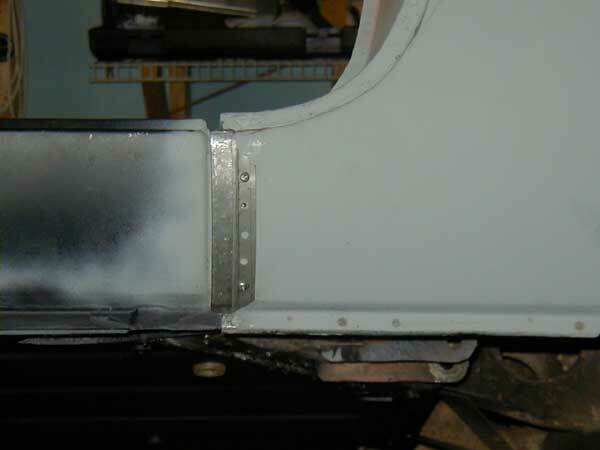 Well, I decided to make a fill piece to weld on on top of the panel to make the gap nice and even, and the body panels even. Here's what I came up with, see the gap on the left, it should be fixed by the piece on the right. 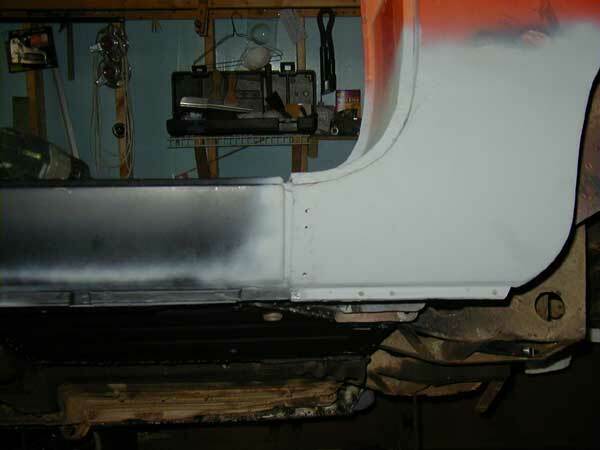 I will be priming and painting the reverse side of this piece before welding it in place, then after the car is painted, I can shoot a sealer (like Waxyol) into the gap from behind. I will need to use some filler, but not too much. I rolled the forward edge of the piece over so it would resemble the original, and be more sturdy.